Owain Sebastian Yeoman is a Welsh actor. His credits include The Nine, Kitchen Confidential, AMC's Turn (as Benedict Arnold) and the HBO series Generation Kill. Additionally, he portrayed CBI Agent Wayne Rigsby in The Mentalist. He was born and raised in Chepstow, Monmouthshire, Wales, where his parents, Michael and Hilary, still live.￼￼￼ He attended school at Wyedean School Gloucestershire, where he showed a keen interest in English language, English literature and was involved in the schools amateur dramatics productions. He graduated from Brasenose College, Oxford, earning an MA in English Literature and was a member of the OUDS and Oxford Revue. He had planned to continue doctoral studies but was not able to secure a grant. Instead he worked at a bank in Canary Wharf, London before enrolling at the Royal Academy of Dramatic Art to study acting. Yeoman made his film debut as Lysander in the Oscar nominated film Troy. He also had a small part in Broken Lizard's film, Beerfest, and made a guest appearance on an episode of Midsomer Murders. He played Sgt. Eric Kocher in the HBO miniseries, Generation Kill (2008). He played the major villain, a T-888 model cyborg Terminator, in the pilot episode of Terminator: The Sarah Connor Chronicles. The role was taken by Garret Dillahunt in the series of the same name. Yeoman played Wayne Rigsby in The Mentalist. He starred in every episode to the sixth season, alongside Simon Baker, Robin Tunney, Amanda Righetti and Tim Kang. He also starred in ChromeSkull: Laid to Rest 2. In 2013 it was confirmed that Yeoman and Righetti were leaving The Mentalist after the sixth season. He guest starred in two episodes (10 & 11) of Extant in 2014. Yeoman also had a small role in the American drama American Sniper, his first major breakthrough on the big screen. From 2015-17, he portrayed General Benedict Arnold in seasons 2-4 of the TV series Turn: Washington's Spies. Yeoman portrayed Vartox on the DC Comics TV series Supergirl. Yeoman was married to actress Lucy Davis from December 2006 to October 2011. His first marriage took place at St Paul's Cathedral, London. Davis and Yeoman were permitted to marry there as her father Robert (better known by his stage name Jasper Carrott) had been awarded an OBE in the New Year's Honours in 2002. On 7 September 2013, Yeoman married jewellery designer Gigi Yallouz at a private estate in Malibu, California. They have one daughter together. Yeoman is a vegetarian and was photographed for PETA's vegetarianism campaign. ^ "Owain Yeoman's American tale". Western Mail. 16 May 2009. ^ "The Mentalist star Owain Yeoman: I once got locked in a fridge naked". Metro. 20 June 2011. ^ "Fame is all in the name for Owain". BBC. 18 June 2009. ^ "Owain Yeoman". BBC Radio Wales. 17 June 2009. ^ "Owain Yeoman Signs Up for ChromeSkull: Laid to Rest 2 - Dread Central". dreadcentral.com. Retrieved 11 June 2014. ^ "'The Mentalist' Season 6: Amanda Righetti and Owain Yeoman set to leave - Zap2it | News & Features". blog.zap2it.com. Archived from the original on 25 November 2013. Retrieved 11 June 2014. ^ "Lucy Davis and Owain Yeoman divorce". Daily Mail. 29 October 2011. ^ "BBC NEWS - Entertainment - Office star marries at St Paul's". bbc.co.uk. ^ "WalesOnline: News, sport, weather and events from across Wales". walesonline. ^ "Owain Yeoman Gets Married". ^ Rizzo, Monica. "Owain yeoman Marries Gigi Yallouz". People Magazine. Retrieved 4 October 2013. ^ walesonline Administrator (31 May 2009). 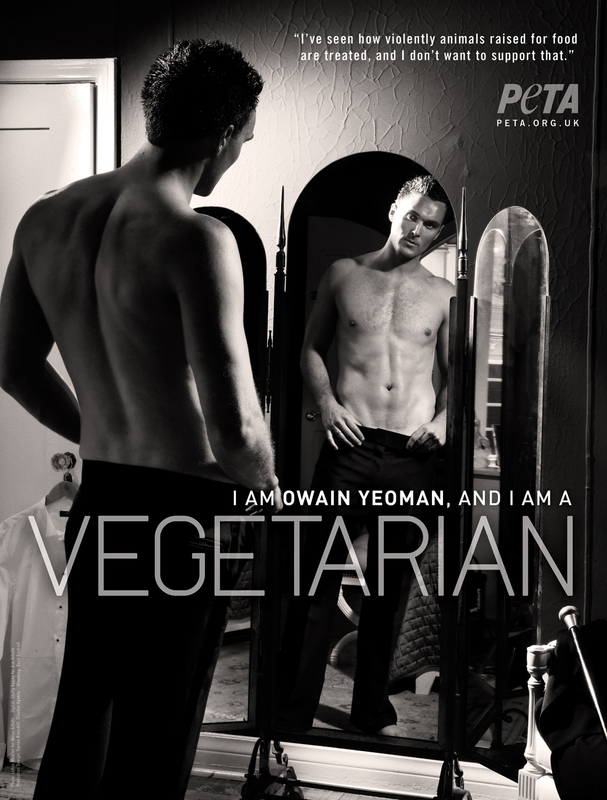 "Actor Owain Yeoman in vegetarian campaign". walesonline.